These churches were declared a National Historical Landmark by the National Historical Institute. 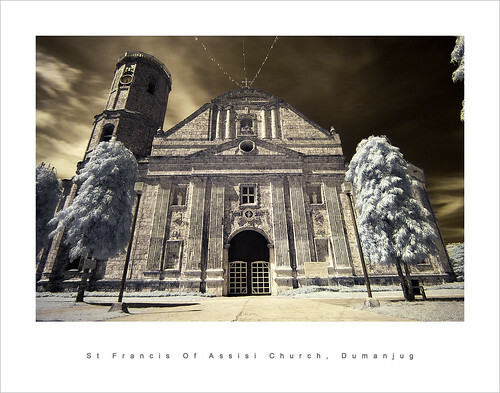 The church was erected on February 2, 1829 as an extension of Samboan Parish. It was given a parochial status only on October 5, 1847. It's Baroque Architecture and is located at the heart of the town. It is about 180 years old. 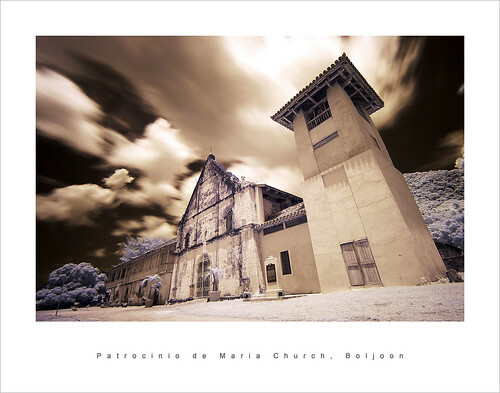 The church of Neo-classic architecture sits on a plateau overlooking Tanon Strait. The chruch complex has a three-storey stone Spanish Watchtower facing the sea. It is about 300 years old. Created as a parish on 16 June 1834, Malabuyoc, a visita of Samboan, chose as patron San Nicolas Tolentino, after whom the Recollect province was named. The church is 175 yrs old. 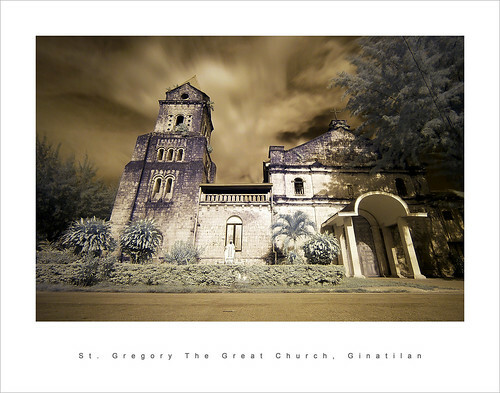 One of the oldest Augustinian churches in Cebu, the tile-roofed church, with the convent attached to it. The church which was originally built as a fortress in the olden times.The church is 319 yrs old. cool!!! care to share po you how took those shots po? keep shooting. keep posting. keep inspiring. 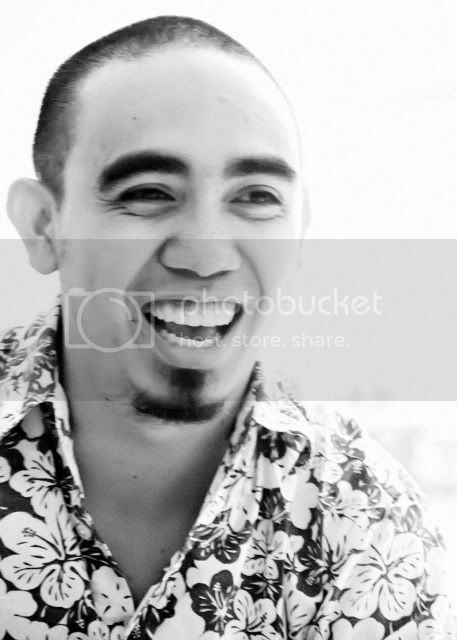 nice set sir... astig tlga ir shots! Thank You Sirs. Went around south of Cebu for two days driving around taking these shots. Fine art quality prints. Excellent, very tastefully done. Bravo! I'll try to submit these images to the site. 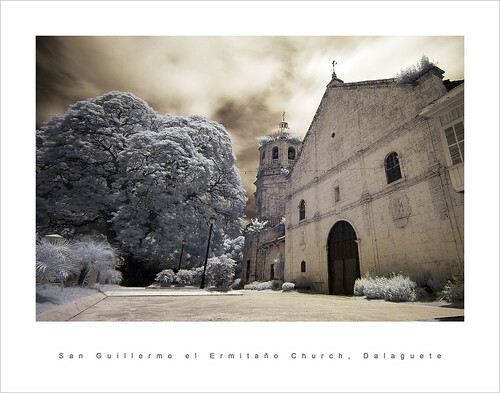 Mr. Estan Cabigas(the site author) is from cebu also so hoping he will be familar with this churches. thanks again for a good idea. Beautiful shots! Good thing the weather cooperated with you cuz IR shots need to have good weather right? You are right. This was three weeks ago. the weather in cebu was perfect that time. a little cloudy as you have notice pero it's was perfect for an infrared shots. love the churches dami niyan dito sa cebu, haven't been to all of them. latest ko nadaanan is sibonga church going to alcoy. cebu ka sir? "Beneath this mask there is more than flesh. Beneath this mask there is an idea and Ideas are Bulletproof..."
yes Bai. im a Cebu base photog. Love your moalboal shots bai. thanks bai. kita tayo ng ibang cebu based photogs dito na pipho so far kami nila eidekos, lemreyes pipho cebu. sent you pm. 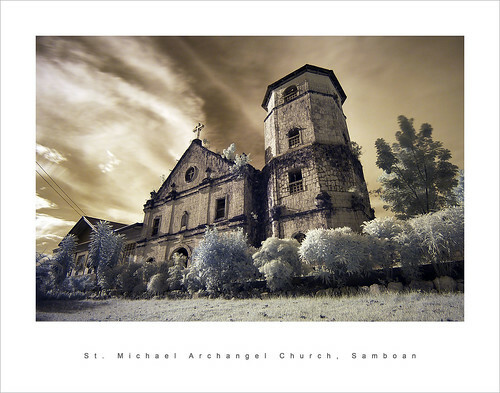 great shots again samboan church is my pick! Classic ang dating nya bro. I like the way you processed these. 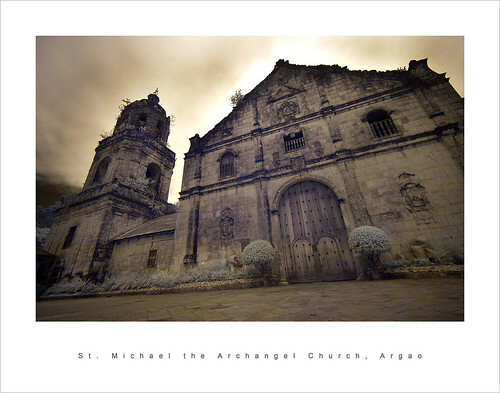 Especially love this one: St. Michael Archangel Church, Samboan. galing mo alfer, u won the cathedral contest right? let's do IR whorring next time..
Aside from being nice shots, they are also very informative. Interesting also are the historical backgrounds and the preservation of these centuries old churches. Thank Bro. i like the samboan also. 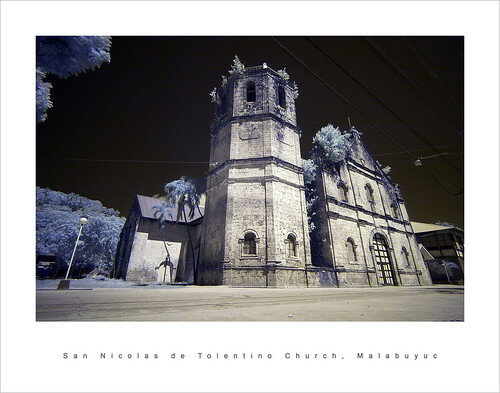 IR light was good since i've shot it late in the afternoon na. 2nd lang sir. but yes, my entry was IR also. Sure, let's do some IR around cebu. i use 10-22. it's just time consuming taking this kind of shots. i just added a few note since viewer would realize how old these structures are. but sad to say that some of the conservation of these churches are not really doing well. 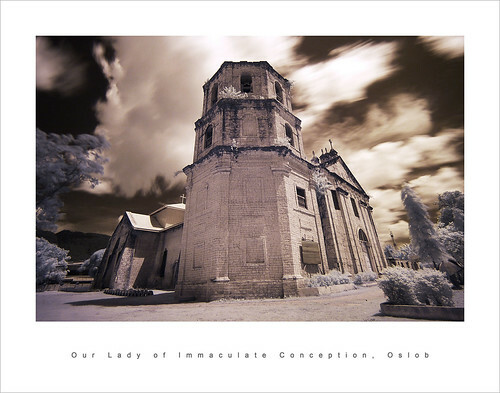 like the the Our Lady of Immaculate Conception Church in Oslob. they put in tires around as a perimeters and goat were roaming around. 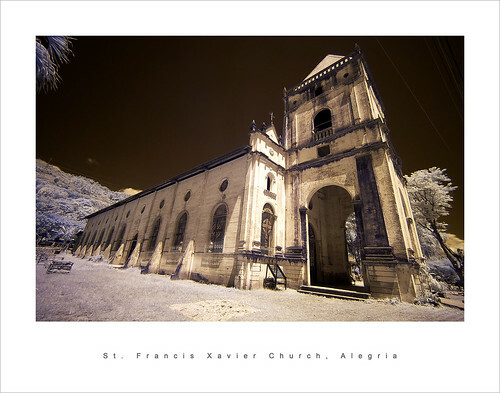 hope the local government or even the archdiocese of Cebu would keep track of the conservation progress of these churches. I wanted to try IR shots for along time. How long does the exposure last? what particular IR filter wou;d you recommend?? i dont know if im qualified to advice didto ha since i just started iR photography few months ago palang and daming pros didto doing IR. pero anyway. i'll try my best nalang. im using Hoya screw-in filter with 40D so it's expected to do long exposure. i usually do AEB with -3 +3 since it's mostly miss or hit on the exposure. i shot 25sec so -3 would be 20sec then +3 would be 30sec. I use Hoya R72. the critical part of the shoting is setting up the WB. just google it lang. Page created in 1.015 seconds with 54 queries.